ENS Zaki Rucker is an Information Warfare Officer. After enlisting in the Navy and attending boot camp in 2004, Zaki attended the Modern Standard Arabic course at the Defense Language Institute in Monterey, CA. He then spent six years at Fort Gordon as a Cryptologic Technician Interpretive before being selected for the Seaman to Admiral commissioning program. Zaki earned his Bachelor’s Degree from The Citadel in Charleston, SC where he was commissioned and took orders to Navy Information Operations Command Hawaii. When he is not working, Zaki and his high school sweetheart, his wife of ten years, are chasing after their 1-year-old son or riding their bikes. My personal ethos is to improve every situation I enter. This is my first thought every morning when I wake up. My efficacy in reaching this goal is the question that lingers on my mind when I close my eyes every night. I apply my ethos to every aspect of my life. It can be as simple as cleaning a dish every time I enter the kitchen or as complex as restructuring the training pipeline of Sailors on my watch floor. Creating significant change such as creating a new training pipeline is not possible by myself. Nothing significant is ever done by one person alone. To help accomplish significant change I employ the guidance of many mentors. I am constantly seeking new mentors to help me inspire change for the next generation of leaders. If you are interested in having a lasting impression on the future of the US Navy then I have a job for you, no application is necessary. I have already been interviewing you, and so have my peers. My peers and I are actively seeking leaders who, like us, want to make tomorrow’s Navy even better than today’s. We interview you when we check into your departments, when we tour your workspace, even when we pass you in the parking lot. 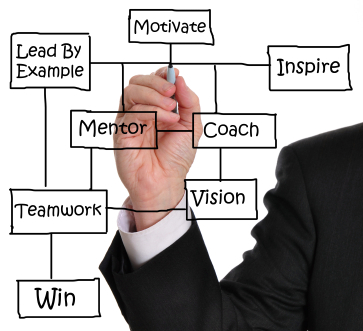 If you want to become the mentor to tomorrow’s leaders there are a few attributes we are looking for. To be considered as a mentor you must be available. For junior Sailors or Sailors new to a command the first place to look for a new mentor is supervisors in your chain of command. We are listening to the speeches you share with us about leadership and your expectations of us when we check in. Then we begin to see how you choose to lead. If you lead from the inbox and your Sailors do not recognize you when confronted face to face, then the interview is over. We want a leader who is visible and willing to engage those they lead. If you find yourself talking to one of your Sailors face-to-face, be present and in the moment. Turn away from your computer, put down the smartphone, listen to what we have to say, look us in the eye. Not everything a person is saying is simply the words coming out of their mouth. We speak volumes with our body language, tone, and what we leave unspoken. Be attentive to all of this, while making your approachability a priority and you may hear our true concerns, desires, and intentions. No one is perfect, we do not expect that you are perfect. If you want to connect with us, acknowledge that you are human and let your authenticity show through. Do not fall into the false belief that everyone who works for you thinks you are perfect. Demonstrate some humility, be transparent, and share your personal commitment to professional development and you will gain our respect. Time is a precious thing. You can never reverse it. The best you can do is manage it. Demonstrate that you are deliberate in the things that you choose to do. If the leaders of tomorrow are passive and wait for their goals to come to them, they will never reach them. Those of us who are hungry for leadership know this. That is why we are looking for mentors who are able to make thoughtful decisions and take deliberate action to achieve their goals. In our interviews we are looking for mentors who demonstrate a commitment to work/play alignment. We want to create the type of lifestyle that allows us to enjoy time in the office as well as out of the office. Prospective mentors who spend 18 hours a day in the office and consistently choose work over their families are sending the wrong message. We will not follow you down the path that leads to destruction of our families as our careers flourish. A key moment in every interview is how the prospective mentor responds to Sailors. Do you publicly praise good work? Most Sailors do not expect to earn a medal every time they complete a task. However, if we completed what was asked of us we expect to be treated civilly; a simple thank you, or acknowledgement of our effort is all we ask. Sailors who are in constant fear of a harsh correction or whose contributions are taken for granted will never realize their full potential. Make yourself available. Walk around interact with junior Sailors. When engaged in conversation be present and listen actively. Acknowledge your faults and display your real self. Be deliberate in your actions and display forethought. Take care for and pride in all of your responsibilities, especially family. Respond appropriately & show appreciation. Remember, you are being interviewed everyday. The question is simple. Do you want to be the inspirational mentor that helps grow tomorrow’s leaders? I have never heard anyone complain about having too many positive influences in their life, there is plenty of room for more good mentors. Are you willing to be one of them? We want to improve our Navy and our Nation; we want to grow as leaders; and we all want to realize our collective potential. We could use your help. Please choose to be a leader worthy of our emulation. Please choose to be a mentor who we choose to seek out. If your only protégés are the ones your chain of command has assigned to you, odds are this message was written for you. Excellent essay about leadership. Sadly, one can read into this essay how often this officer was failed by leadership. I also think this officer has never had a real mentor… which is a very personal, very individual relationship. I hope he finds one someday. I did not get the impression that ENS Rucker has been failed by leadership often. What I read were the words of a thoughtful Naval leader who has been shaped by good and bad leadership examples, as have we all. He presents common sense leadership tips that are too often ignored but serve as the very basis of what it means to lead. ENS Rucker, Fantastically written! What insight you possess into leadership. It is so good it gives me goosebumps. This text needs to be published. It should be required reading at all CO/XO indoc. classes. One day you will be a fantastic leader. The best of luck to you and your wife! Very well put, in short being an attentive listener is very rare these days. I agree with Jim Muphy. ENS Zaki Rucker is on target. Approaching each day as being interviewed is an excellent way to stay enaged. You may have a have a problem if no one is willing to hire you. Glad to see ENS Zaki Rucker in print. Zaki, well written my friend. I completely agree with what you have written. Putting a humanizing touch to leadership is what makes or breaks you. You can’t treat your subordinates like robots, you must realize that they are people…part of your family. Thank you for the inspiration my friend! I’ll see you in the fleet! Next job should be OPNAV N1 for this young man. Awesome that really did make a difference…. Hope it turns out good. This is a great article. It is excellent information for everyone in the Navy and beyond. Thank you.